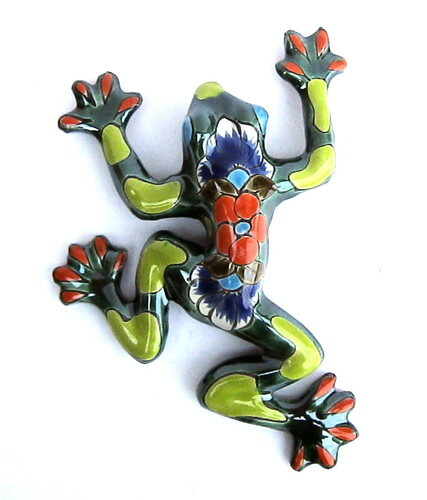 We believe that everyone deserves a funky Talavera frog! Already got yours? Maybe it is going to be this one? 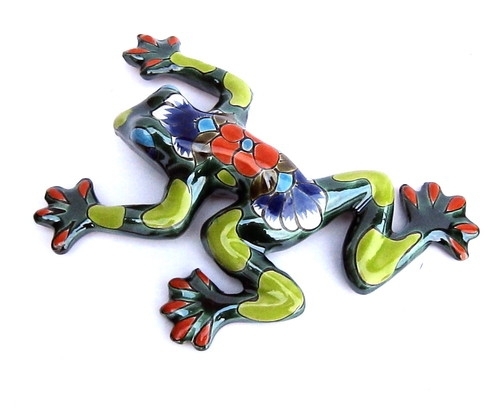 Our Mexican frogs are truly colorful fellows, and spread fun and a touch of unique around them. They can be applied as table decoration, too, but their real element is the wall, to where they can be attached easily and safely with the help of the hole on their belly and a hook. 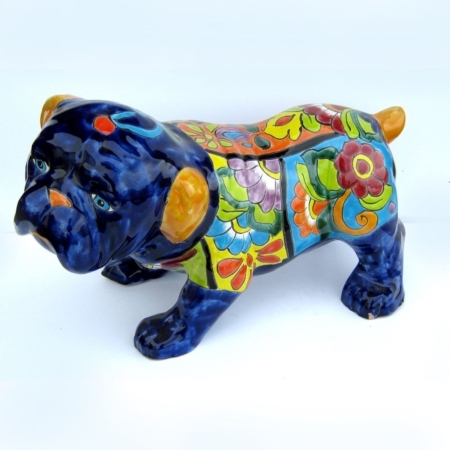 Our frogs are decorated with typical Mexican colors and patterns, and are manufactured and painted all by hand according to the centuries-old tradition of Talavera-making. One of the main characteristics of hand manufacture is that there are no two similar pieces, thus you may find differences in color or pattern – but never in quality! All products distributed by La Tienda are original and of guaranteed quality.